4X4MS - Mikve Israel School - is on Air agane. Few months ago I went to mikve <?xml:namespace prefix = st1 ns = "urn:schemas-microsoft-com:office:smarttags" />israel school ,I was standing near a building with a small 3 element yagi a place who used to be one of the best radio amateurs clubs in Israel.The club was very active and many new HAM's came out from there. 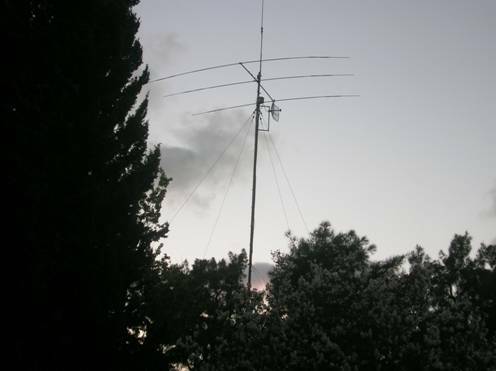 Yesterday 17-Sep-05 the first step was finished a 40 meters yagi and a 3 elements yagi were installed about 17 meters above the ground with a strong rotator and all works well. 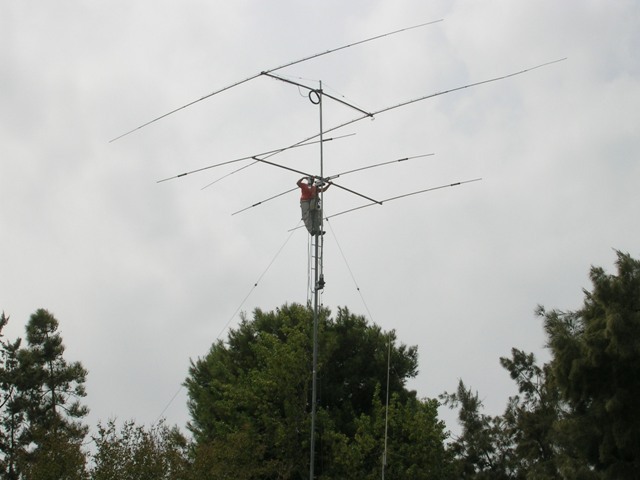 Now we have to finish the 80/160 antennas and to try to bring as many new students for the "4x4mis" club. Many thanks to Alex 4Z5KJ , 4X6WP, 4Z4DX , 4Z5PS , 4X1AD and 4X4-3400 - Max , Alex's son .